In the fall of 2015, the news was full of stories about teacher shortages in school districts and states across the country. 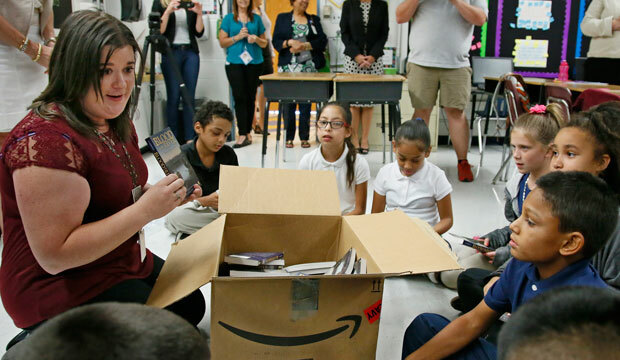 From Oklahoma to California, school leaders struggled to fill their classrooms and prepare for the coming school year; from North Carolina to Kansas, the same situation is playing out as the 2016 school year begins. Explanations for these shortages vary; some blamed poor planning or the recovering economy, while others pointed to high rates of teacher attrition and wondered if teacher morale was suffering under new education reforms. With little empirical evidence to explain the scarcity of teachers in these states and districts, however, most explanations have been based primarily on previously established opinions and complaints about public education in the Unites States. To put regional teacher shortages in context, it is important to recognize that the United States is not currently suffering from a national teacher shortage. According to the U.S. Department of Education, teacher preparation programs—including both traditional programs housed within an institution of higher education and alternative certification programs—currently produce enough teachers to meet total classroom demand across the country, and this is projected to continue for some time. This projection only tells part of the story, however. First, teacher labor markets are not national. Most teachers will seek employment in a school near where they were trained and hold accreditation, so a surge in demand for teachers in one state does not necessarily mean teachers from other states will move across state lines to a better job market. In addition, looking simply at aggregate numbers of teachers masks the severity of subject area shortages, which are common in science, technology, engineering, and mathematics—better known as STEM—fields, as well as in special education. Contributing to concerns about regional and subject area shortages are indications of a remarkable drop in the popularity of teacher training programs. Across the country, enrollment in teacher preparation programs, the first step to becoming a teacher, has steadily declined since 2009, meaning fewer and fewer people are taking the first critical step toward entering the teaching profession. This trend suggests that, alongside important conversations about evaluating teaching effectiveness and ensuring that disadvantaged students have access to qualified educators, policymakers and other education stakeholders should also be concerned with the overall strength of the teacher pipeline. This report investigates potential reasons for the sharp decline in enrollments in teacher preparation programs in recent years and finds evidence that educator job losses resulting from the Great Recession were associated with diminished interest in teaching. Decreases in average teacher salary and the trend of what are termed “last in, first out” employment decisions were also associated with decreasing enrollment of prospective teachers in both traditional and alternative certification programs. As a result of these findings, the authors of this report conclude that teacher labor markets are more responsive to market conditions than once thought. Based on these findings, the authors recommend increasing teacher compensation, ending seniority-based layoff policies, and providing prospective teachers with relevant local labor market information in order to reduce shortages and prevent further declines in enrollment in teacher preparation programs. Lisette Partelow is the Director of Teacher Policy at the Center for American Progress. Christina Baumgardner is a recent graduate of the Goldman School of Public Policy master’s program at the University of California, Berkeley.